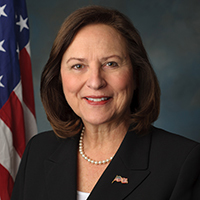 A lifelong Nebraskan, Deb Fischer was elected to the United States Senate in 2012. Senator Fischer has earned a reputation as a "tenacious advocate" for lower taxes, reduced government spending, and a balanced budget. She is committed to working with Republicans and Democrats alike to advance sensible policies that will grow the economy and promote strong Nebraska families and communities. Senator Fischer arrived in Washington as an expert on a range of issues, from education policy to complex telecommunications matters. She was elected to the Valentine Rural High School Board of Education, became President of the Nebraska Association of School Boards, and served as a Commissioner on the Coordinating Commission for Post-Secondary Education. 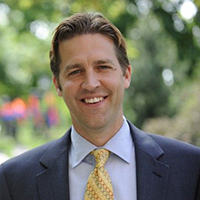 Ben Sasse is a United States Senator, representing the great state of Nebraska. He was elected in a 2014 landslide, winning each of Nebraska's 93 counties, and securing the second-largest margin for a new senator in the history of the state. Living off of a rickety old campaign bus, he and his family campaigned tirelessly on a common-sense platform of restoring the Constitution to its rightful place and encouraging a more constructive politics where every public official works to make the American Dream achievable for every family. He believes in term limits and a humbler Washington, where the federal government does fewer things, but the more important things, more urgently, more transparently, and with less partisan screaming. Healthy lives are lived primarily in the private sector, and the vast majority of good policy is created at the state and local level -- and Washington should get better at talking honestly about these essential American realities. 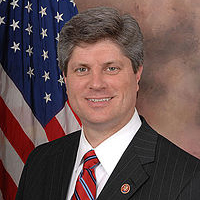 Jeff Fortenberry was elected to the United States House of Representatives in 2004 to serve Nebraska's First Congressional District. His work in Congress is rooted in the belief that the strength of our nation depends on the strength of our families and communities. Jeff is a member of the House Appropriations Committee, which appropriates United States government expenditures. He serves on three subcommittees with importance for Nebraska: Agriculture, Energy and Water, and Military Construction and Veterans Affairs. Wanting to serve his country, Don joined the Air Force in 1985 and served for 29.5 years, retiring as a Brigadier General. He served in the intelligence, electronic warfare, reconnaissance and public affairs career fields and had 16 assignments all over the world. 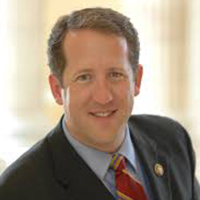 Congressman Adrian Smith has earned praise for his leadership, hard work and dedication to Nebraska commonsense. 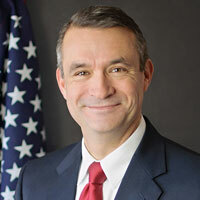 Smith has tackled issues ranging from biofuels and other forms of domestic energy to transportation research and development to fashioning legislation promoting rural America. Smith has consistently voted against tax increases, massive government bailouts, and was unwavering in his opposition of the misguided health care bill now creating massive uncertainty for our nation's job creators.